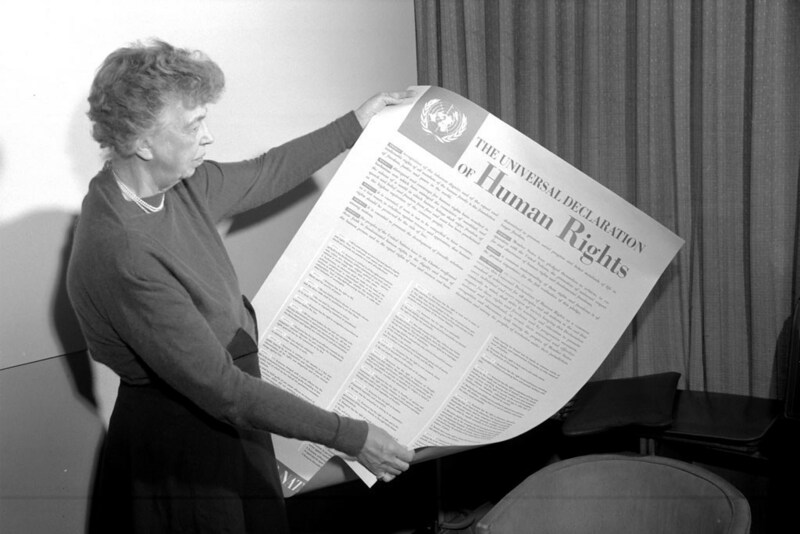 The Universal Declaration of Human Rights of 1948 is celebrating its 70th birthday today. On December 10, 1948, the 58 Member States that then constituted the United Nations General Assembly adopted the Universal Declaration of Human Rights at the Palais de Chaillot in Paris, France. 159 years after the first Declaration of the Rights of Man and of the Citizen during the French Revolution of 1789. “For 70 years, the Universal Declaration of Human Rights has shone as a beacon in the world, highlighting dignity, equality and well-being, and inspiring hope in the darkest places. UN Secretary-General António Guterres said in a message issued on the occasion of the Day. The UN chief recalled that the rights proclaimed in the Declaration apply to all, regardless of race, creed, geographic location or any other distinction whatsoever. “Human rights are universal and eternal,” Guterres said. “They are also indivisible. One can not choose one right to the detriment of the other, among civil, political, economic, social and cultural rights. The United Nations High Commissioner for Human Rights, Michelle Bachelet, recalled that the UDHR was thought of as a “road map” to guide people around the world from conflict and suffering and to ensure that “relations within societies and between States are lasting and peaceful. “The Declaration has inspired the many liberation movements and improved access to justice, social protection, economic development and political participation. Wherever her commitments have been honored, she has helped defend the dignity of millions of people, avoid suffering and lay the foundations for a more just world, Bachelet said. Every December 10, the UN commemorates Human Rights Day for honoring its defenders “who risk their lives to protect their fellow human beings from rising hatred, racism, intolerance and repression”. “Human rights are assaulted on all sides. Universal values ​​are disintegrating. The rule of law is in decline, “warned the Secretary General who experienced the dictatorship during his youth in Portugal. But “we must continue to move forward,” said the High Commissioner for Human Rights. “People are increasingly afraid of the big changes our world is facing. And it is precisely in times of turbulence and uncertainty that the Universal Declaration of Human Rights can guide us, “said Ms. Bachelet, who also experienced the dictatorship in Chile when she was young. “Every one of us, wherever we are, can make a difference by defending someone’s rights,” she said.